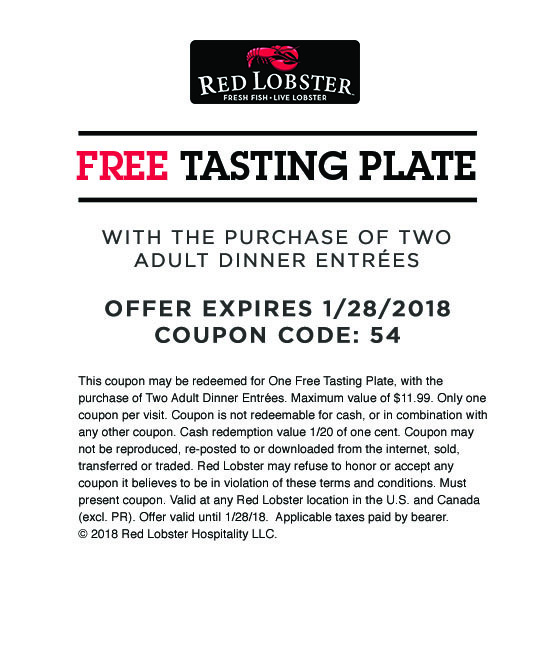 Red Lobster printable coupon that is good for a Free Tasting Plate with the purchase of 2 adult entrees. See offer for details. Coupon good at participating locations. Expires 1/28/18.